Another early start Sunday as I decided to get my new Witchcraft journal signed by Alyson. I wasn’t sure if my diamond pass allowed me to go down her autograph queue a second time so I picked up a VQ ticket (number 54 just in case). The 5 of us decided to have a group photo on the Big Bang Theory sofa and each had a turn in Sheldon’s spot. We had 5 photos so were able to do 5 different poses. I’ve done prop photo shoots before bit this was definitely one of my favourites. 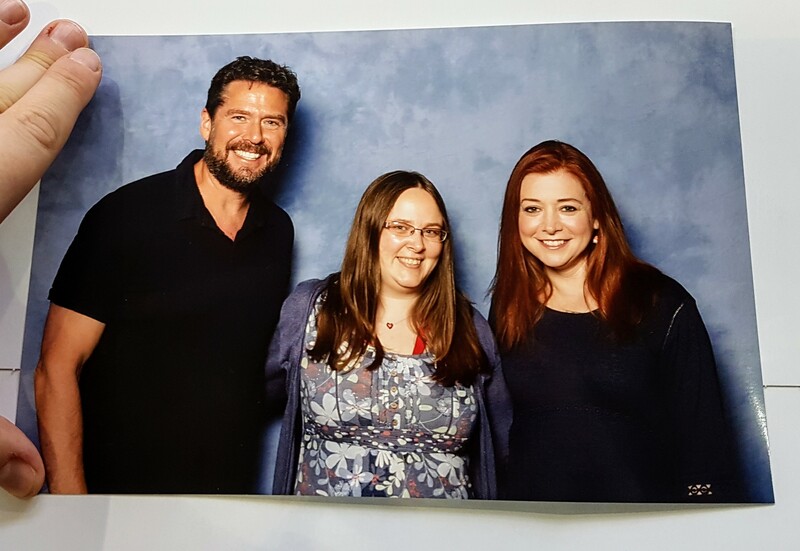 After the prop photo I headed to my Alyson Hannigan photo shoot with my friends Sazzzy, Gemma and Pia; I love how the photo turned out and will be framing along with my autographed photo and I photo shoot I had with Amber Benson (Tara) a few years ago. 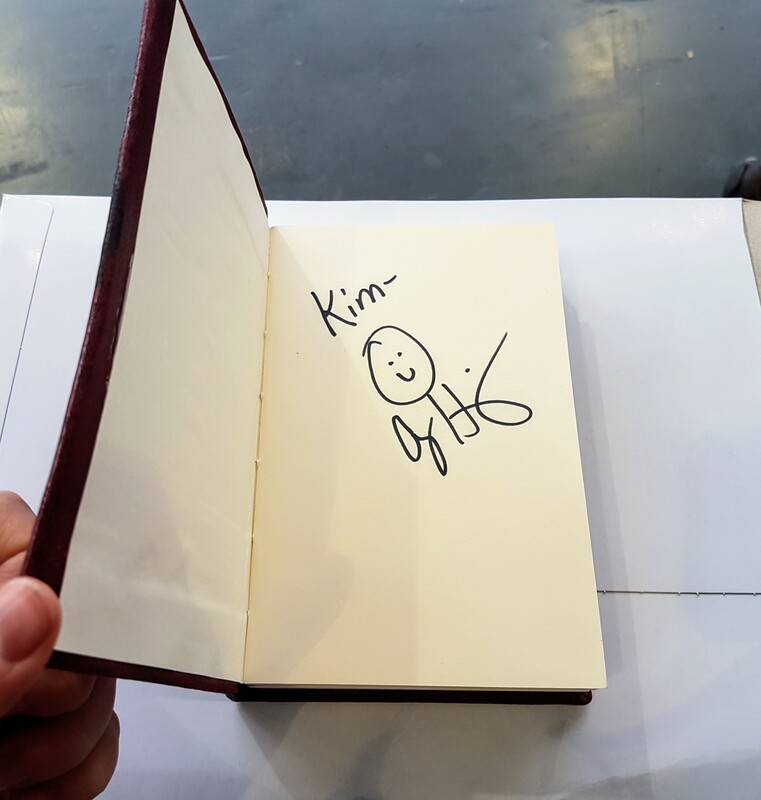 Shortly after I went to her autograph area and joined the queue to get my Witchcraft journal signed. Dad and I queued a while before overhearing they would be closing the queue soon so she could go to her second photo shoot. Dad suggested I “use my trump card” (diamond pass) to get into the queue before it closed. They let me and a few others with diamond passes into the queue! I was a lot less nervous meeting Alyson this time and had a longer conversation with her, we talked about the sparkly purple boots she was wearing (they were from Covent Gardens and she’d also bought a pair for her daughter) and spoke about how her daughter’s were visiting the London museums with their nanny this morning. 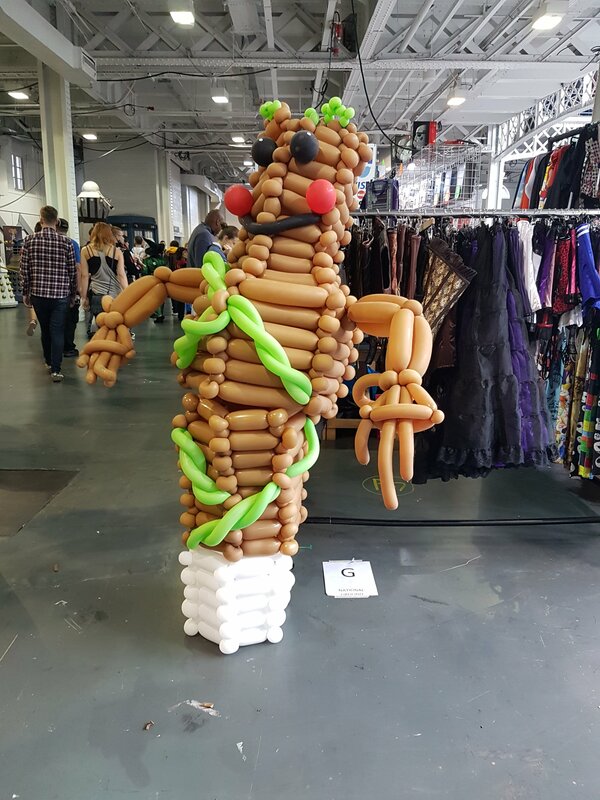 While I waited for the Alyson and Alexis talk I had another look at the stalls and found a balloon Groot!! There was a guy walking around in him but he’d taken it off for a well deserved rest. I think this was my favourite cosplay of the weekend. I got so caught up in the stalls and cosplays that I missed the start of the talk! I ended up not being able to use my diamond pass for priority seating and sat towards the middle of the hall, I still had a great view and took a few photos. Most of them are blurry and this is probably the best one. 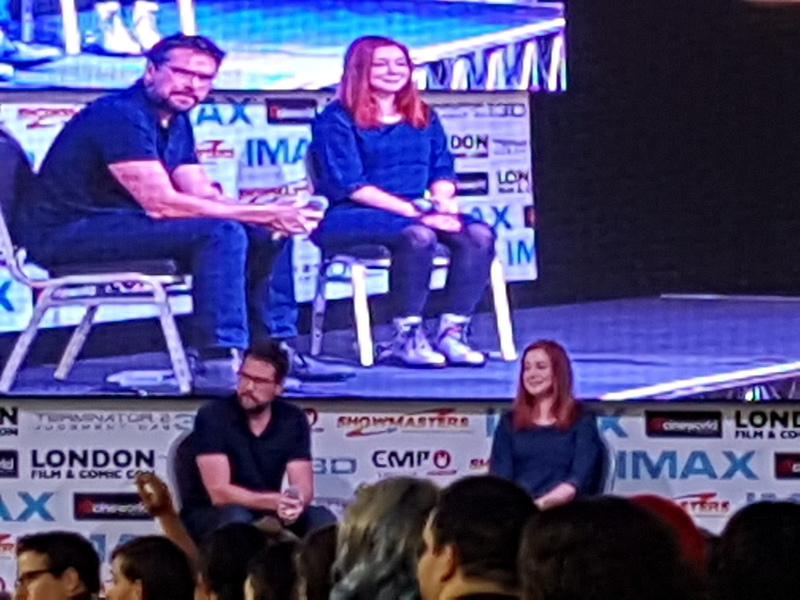 The talk was mainly about their time on Buffy and Angel with a few questions about How I Met Your Mother thrown in as well. I remember Alyson saying her most heartwrenching moment was when [SPOILER ALERT] Tara died and Alexis’ was when Fred dead. Both understandable. 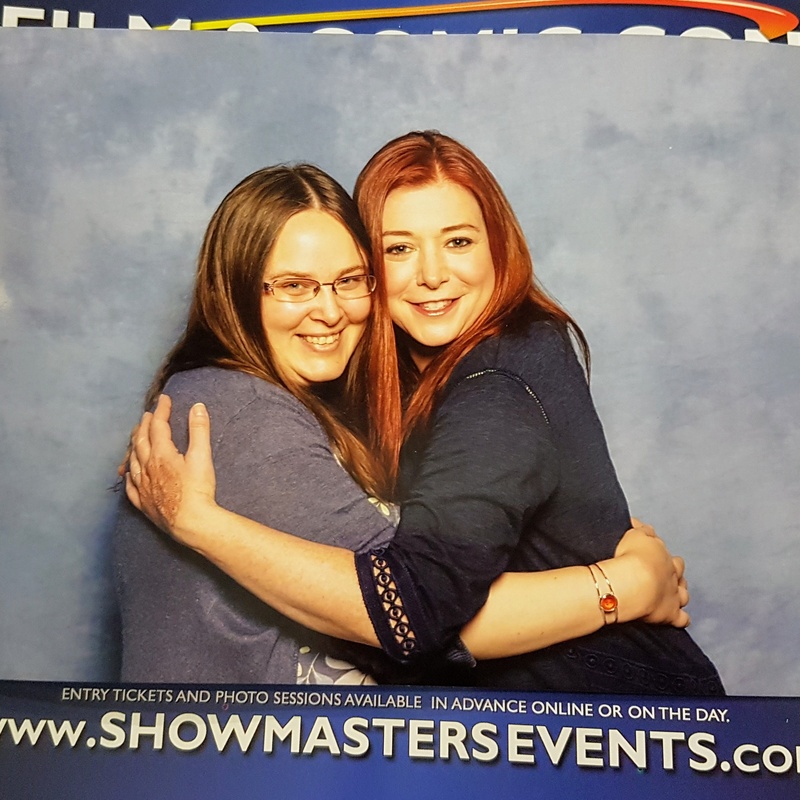 Alyson also mentioned her favourite Willow to play was geeky Willow playing Vampire Willow and that if she was a flower she’d be a daffodil. 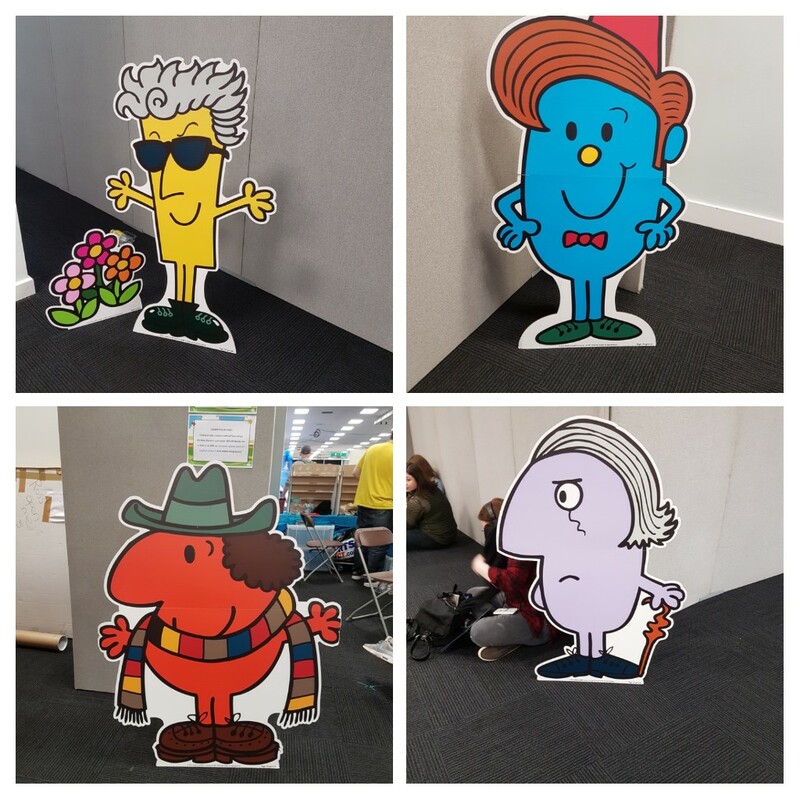 The third floor of the convention was dedicated to young adult fiction and offered a range of young adult books to buy as well ad the opportunity to meet some of the authors. We hadn’t been up there in previous years due to time constraints but decided to make sure we did this time. The floor was well spaced out with a small restaurant selling paninis and sandwiches, we stopped for lunch and had a look around the stalls. There was an area dedicated to Harry Potter and we added a memory to the wall, there were also Doctor Who Mister Men dotted around. I spotted the 1st, 4th, 11th and 12th doctors. 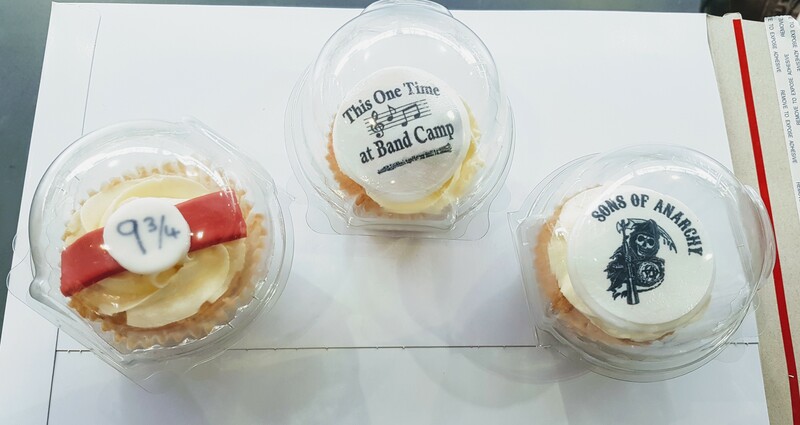 I finished off the day with my duo photo shoot with Alyson and Alexis and bought some more cupcakes for the ride home! The photo shoot was actually a spur of the moment, Sazzzy, Femme, Pus and I came out of the Alyson photo shoot and made a pact that we’d all buy the due shoot later that afternoon. It was quick and easy with the Eventbrite app on my phone, in the old days it would have meant going to the sales desk and queuing for (potentially) a very long time! I’m very happy with how the photo turned out even if I do look chunky! It’s the way I’m stood, the shoot was very rushed and I barely had time to stand up straight and look forward before the camera went ‘click’! I’m leaning to one side in this photo.